Ald. Jane Grover (7th) and Evanston Mayor Elizabeth Tisdahl attend the grand opening of the city's third Whole Foods store Wednesday. Two new grocery stores, Whole Foods Market and Valli Produce, opened their doors in Evanston this week, filling vacancies left by the closing of the city’s two Dominick’s locations at the end of 2013. 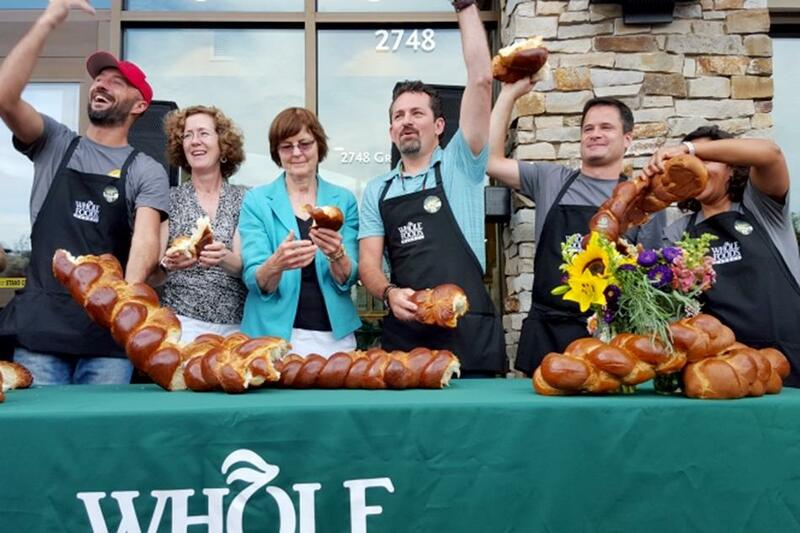 Valli Produce, a local, family-owned grocery chain with six stores throughout the Chicago area, opened up shop at 1910 Dempster St. July 22, and Evanston’s third Whole Foods debuted a week later at 2748 Green Bay Road. Evanston’s newest Whole Foods — the other two stores are located at 1640 Chicago Avenue and 1111 Chicago Avenue — features a pub with local beers on tap, a Cuban-inspired taqueria and in-house cured bacon. Valli Produce, which focuses on delivering a wide variety of fresh fruits and vegetables, also aims to provide ingredients imported from around the world. Valli’s president Carmine Presta said he was initially attracted to Evanston for its cultural diversity. Ald. Peter Braithwaite (2nd), whose ward contains Valli’s new location, said Valli was a welcome addition to the neighborhood, as it would fill out the Evanston Plaza shopping center, which until recently was over half-empty. Both Valli and Whole Foods made strides to hire staff locally, the latter partnering with the Youth Job Center and National Able Network and the former boasting more than 85 percent of hires from within the Evanston community. Both Valli and Whole Foods will take part in Evanston’s ban on plastic bag distribution from large retail stores taking effect Saturday. Ald. Jane Grover (7th), who lamented the loss of the Green Bay Road Dominick’s, said she felt as though Whole Foods could quickly become a community staple and praised both stores for making great strides to immerse themselves in the Evanston community.